The Royal Canadian Air Force (RCAF) has unveiled 2017 CF-18 Demonstration Hornet paint scheme. 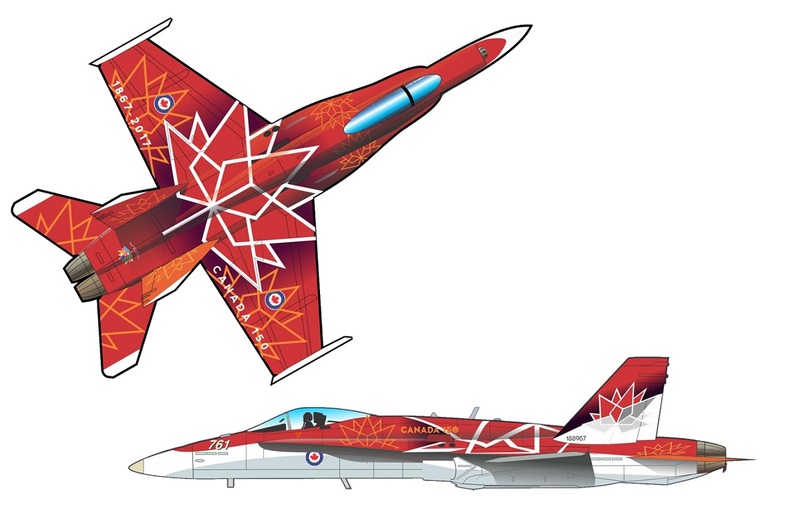 The design was revealed at the International Council of Air Shows (ICAS) conference in Las Vegas, by Royal Canadian Air Force (RCAF) representatives on Dec. 7, 2016. 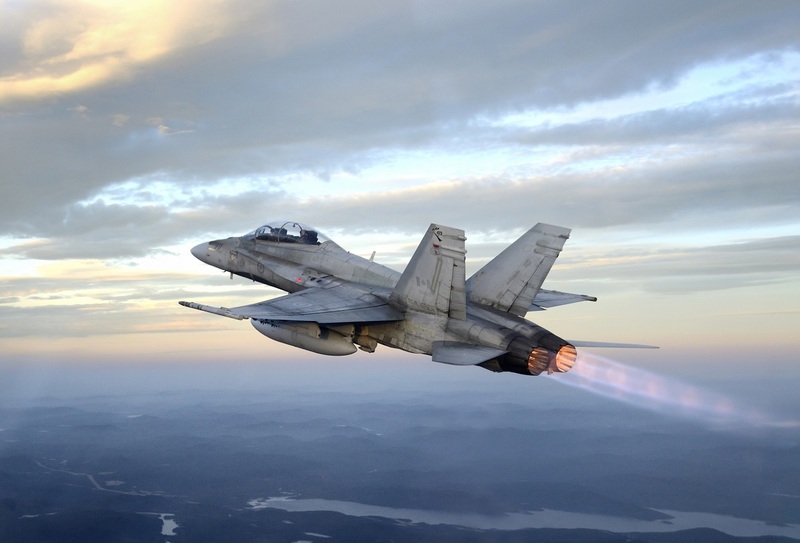 According to the RCAF press release next year’s Demonstration Hornet will be painted to celebrate the 150th anniversary of the confederation of Canada, and will honour the history of the RCAF and Canadian Armed Forces as a part of Canada’s proud history. The main colours are red and white, Canada’s traditional colours. The official logo for Canada 150 is placed throughout the design. The logo is composed of a series of diamonds, or “celebratory gems”, arranged in the shape of the iconic maple leaf. The four diamonds at the base represent the four original provinces that formed Confederation in 1867: Ontario, Quebec, New Brunswick and Nova Scotia. Additional diamonds extend out from the base to create nine more points. In total they symbolize Canada’s 13 provinces and territories. On the left wing, the time span of confederation is shown with the year of confederation, 1867, and the 150th anniversary year – 2017. The right wing bears the official name of the celebration – “Canada 150”. In the artwork below you can see the artist concept of the design of the 2017 CF-18 Demonstration Hornet.